To understand the figure of the Egyptian artist it is convenient to differentiate art and craft in ancient Egyptian art. Ancient Egyptians just had the word hemuu (Hmww), for referring to the workers who carried out a work. In addition, those ones could be classified into three categories: artist, artisan and worker. The Egyptian artist thought and designed the reliefs, the statues and the paintings of the temples and the tombs, always keeping within the canon of Egyptian art. However, he needed the help of a priest to choose the motives to depict; sometimes the Egyptian artist was a priest and had the religious formation to choose the appropriate iconography. In Egyptian art, the artist directed the work from the first sketches to its conclusion and the success of a production depended on him. Egyptian artist closed to the Pharaoh. Egyptian artist occupied a prestigious situation in Egyptian society. Because he worked for the eternity and for the sacred sphere. Moreover, Egyptian artist was very close to the Court. Usually Pharaonic institution assigned the artists to state workshops, where they worked for temples or tombs. Egyptian artist mainly worked for royal projects (temples, pyramids, statues of members of the royal family …) but also in private works (tombs of officials and / or nobles, funeral statues or votive of private characters …), although in both cases always depending on the Crown. Because the work of the Egyptian artist depended directly on the state, so his standard of living depended on the greater or lesser prosperity of the state finances. As it happened with the aristocracy, the high rank in the social scale of the artists allowed them to enjoy the favor of the Royal House and they could realize works for themselves supported by the sources of the state. Nebamón and Ipuky, Chief Sculptors under the reign of Amenhotep III, who shared burial in the cemetery of Khokha, on the west bank of Thebes. The architect Kha, who was Director of the Works between the mandates of Amenhotep II and Amenhotep III and whose tomb was discovered in 1960 in Deir el-Medina. 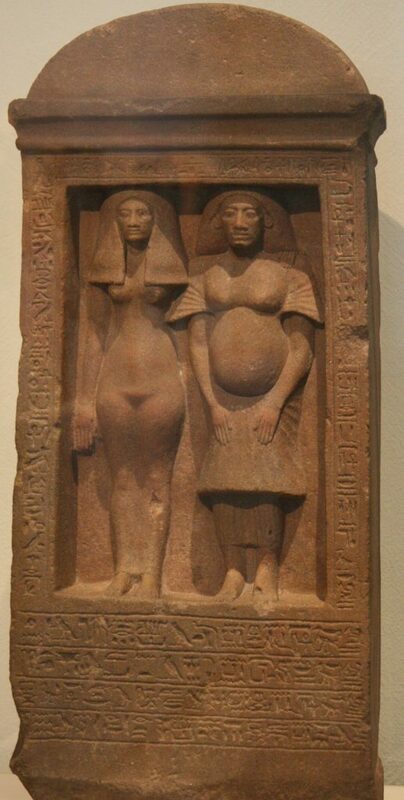 Bak, Chief Sculptor of Akhenaten, know from his stela-statue with his wife Tahere. 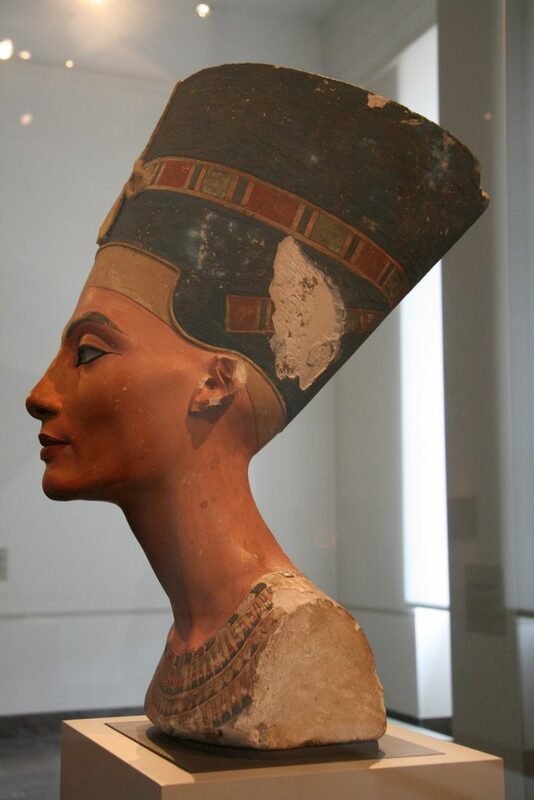 Tutmosis, successor of Bak under the reign of Akhenaton and in whose workshop of Amarna were found numerous sculptures, among which was the famous bust of the queen Nefertiti.